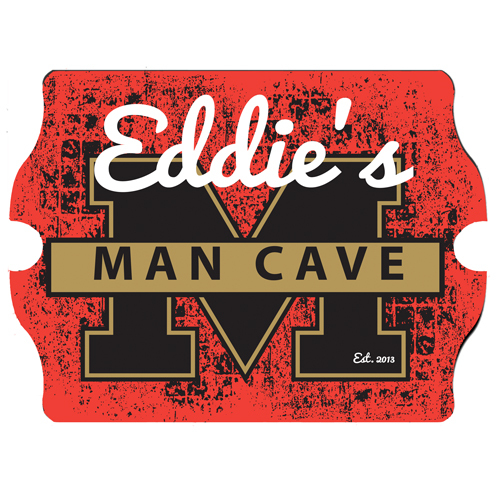 FEATURES/SPECS Turn your dorm room or game room into a college football tailgate with this vintage design personalized man cave sign. 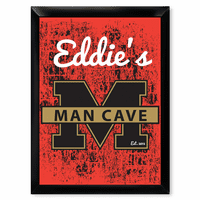 It features a college style "M" printed in black on a bold red background. A banner in front of the M is printed with the word Man Cave. 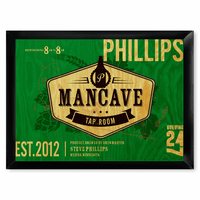 We'll add your name across the top, listing you as the owner of this man cave, along with a date of establishment at the bottom. 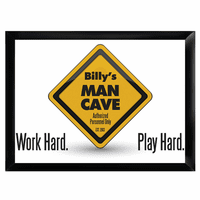 This personalized man cave sign is perfect for college students and the young at heart. 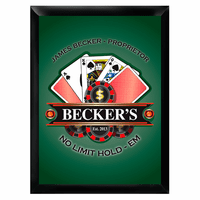 Hang it on the wall of any room, and it instantly becomes your college football party room.